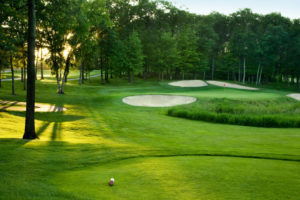 From established country clubs to new golfing communities, the Triangle area offers plenty of choices when it comes to finding your dream home on a premier golf course. Though there are dozens of beautiful courses and hundreds of homes right on the green, we wanted to highlight the top picks when it comes to golf course homes. Cary has some of the best golf course homes available in the Triangle, so we couldn’t pick just one Cary community to spotlight. Instead, we’ve picked the top three! Lochmere, MacGregor Downs, and Preston are all established golfing communities with an array of amenities, from luxurious houses right on the golf course to a private swim and tennis club just for the neighbors. The communities are also conveniently located near excellent Wake County schools, premier shopping centers, and major highways around Raleigh. If you’re searching for homes with a golf course lot in one of these neighborhoods, call us at 919.612.9885 and we’ll help you find your dream home. One of the newer golf communities to be built in the Triangle, Riverwood Golf Club features several homes with golf course lots and beautiful views. As members of the golf club, residents can also access all the amenities of Riverwood Athletic Club nearby, which has a beautiful resort-style pool, fitness center, and its own “main street” with coffee shops and restaurants. Southern charm and country club living abound in this Holly Springs golf course community. 12 Oaks features an Olympic-sized pool, spa, and fitness center in addition to its Nicklaus-designed golf course. There are only a select number of homes on the golf course in 12 Oaks, so talk to us if you’re interested in one of these houses. The Brier Creek area is one of the most sought-after locations in the Triangle, and it’s mostly thanks to the Brier Creek Country Club. Residents not only have access to an 18-hole Arnold Palmer Signature golf course, massive clubhouse, a swimming complex, and homes right on the green, they’re just minutes from one of the most popular shopping centers in Raleigh. Ready to Find a Home on the Golf Course? We can help you find the perfect property and breeze through the home buying process. 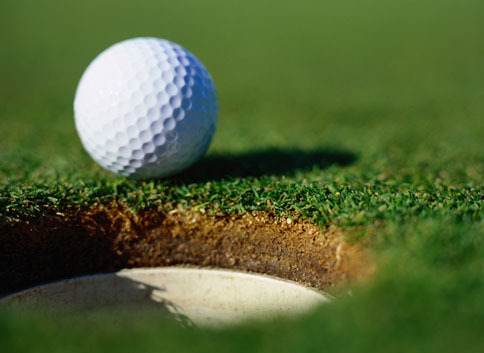 Whether you’re just searching for information about these golfing communities or want to tour a home you’ve found, call us at 919.612.9885 and let’s talk.